Exercise should be practiced several times a day with lower number of repetitions. Perform exercises with care. Exercise gradually and only after pain. 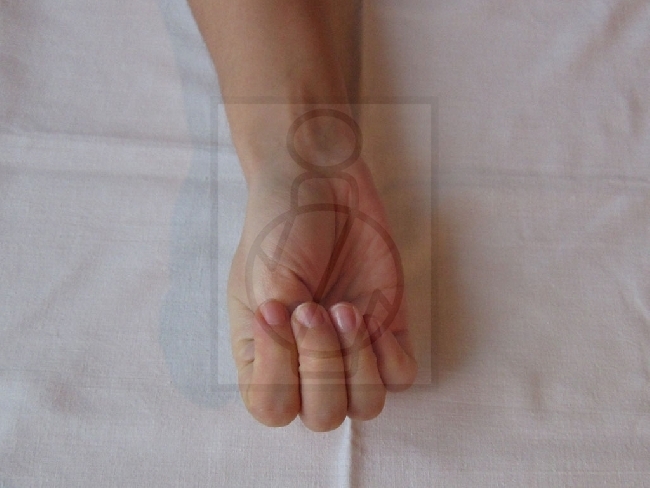 Allow hands and fingers to rest between individual exercises to relax stressed muscles and relieve possible pain. For faster restoration of the original functions of the affected arm exercises should be carried out simultaneously with both hands- also with healthy one – exercises practiced in this way are in our mind evaluated as, to put it simply: "sick hand is learning from the healthy hand." Initial position: Sit on a chair at the table. Hands on the table so that the forearm with elbows, wrists and fingers were put on the table. 1. Hand should be bathed for a few minutes in a cold (tepid) water – 20 to 25° C before the exercise. Bath is especially good in the first days after the removal of plaster fixation. Hand-dipped in water, we exercise with fingers gently, closing the hand in a fist and release, for about 5 to 10 minutes. 2. Unfold the thick terry towel under the arm. 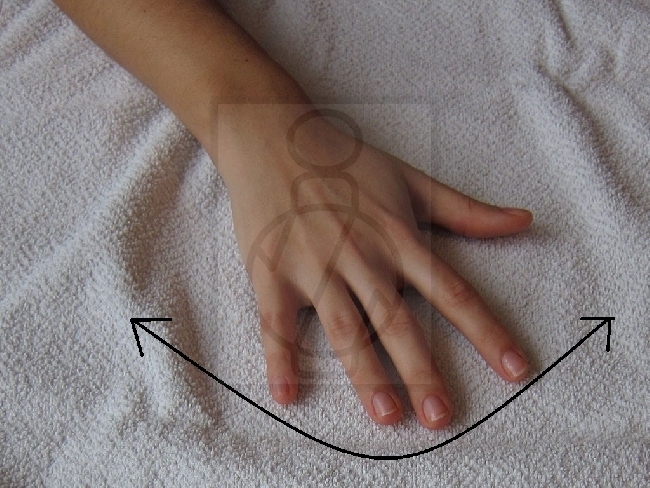 Perform shuffling movements on a towel with palm to the right and left. Repeat 5-10 times on each side. 3. 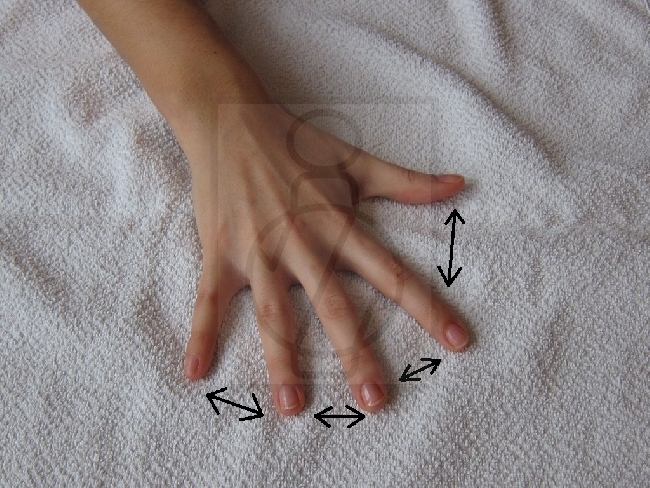 Hand is placed on a towel with palm, try to stretch your fingers as much as possible from each other and put them back together. Repeat 5 times. 5. 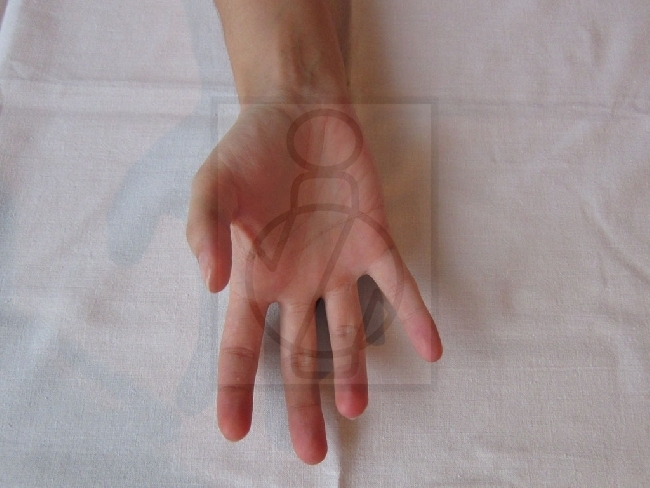 Basic position: Hand on a table with palm up, together with the entire forearm from the elbow, fingers relaxed, stretched from each other as much as possible. Each exercise from 5 to 9 is performed once. Resulting series of exercises is repeated 3-5 times. 10. 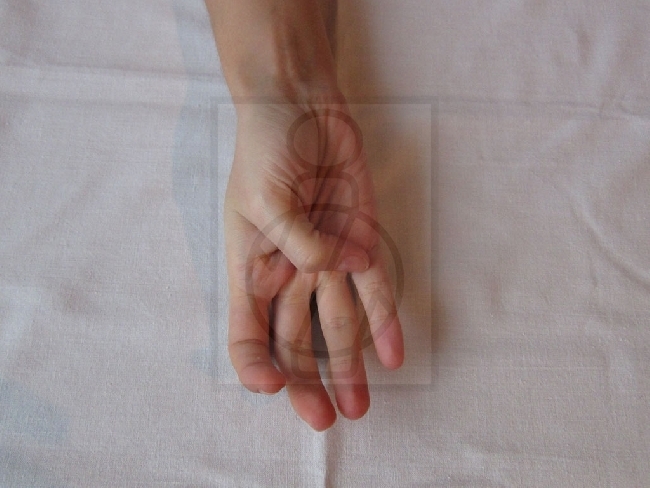 Connect tips of your fingers together - create “the pinch”, then move your fingers apart to the basic position. Repeat 5 times. 11. Move thumb to the side as much as possible, then make a move to the root of little finger. Repeat 5 times. 12. Move thumb to the side as much as possible, then make a move to the root of little finger. 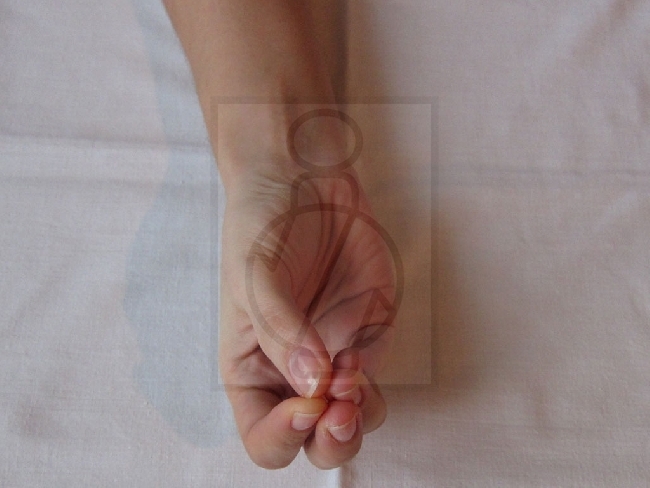 Leave thumb in its position, move other fingers to him and clench your hand in a fist. Repeat 5 times. 13. Hand on the table with the palm up. 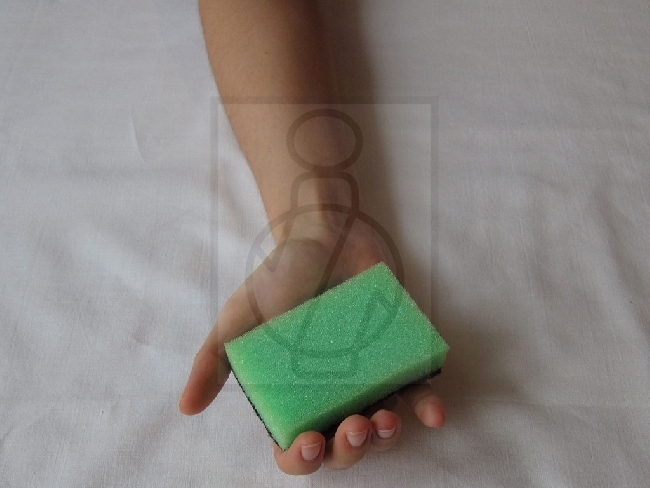 Put the dish sponge (sponge) to your hand - 13A. Press sponge as much as possible - 13B and release. Repeat 5 times. 14. Hand with the palm up. Put a soft ball to a palm - 14A. 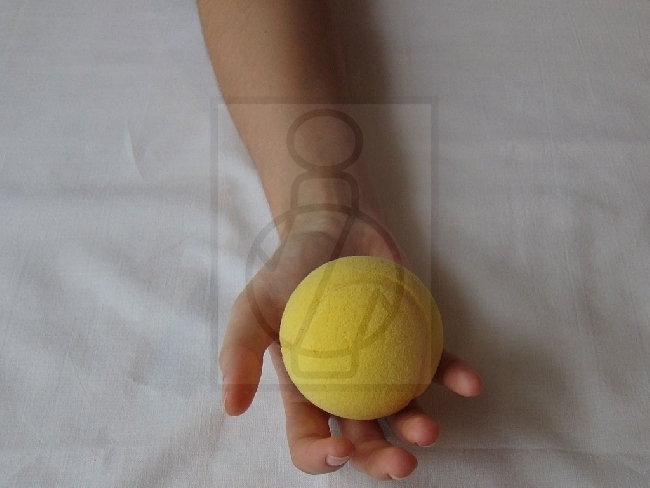 Squeeze and release the ball - 14B. 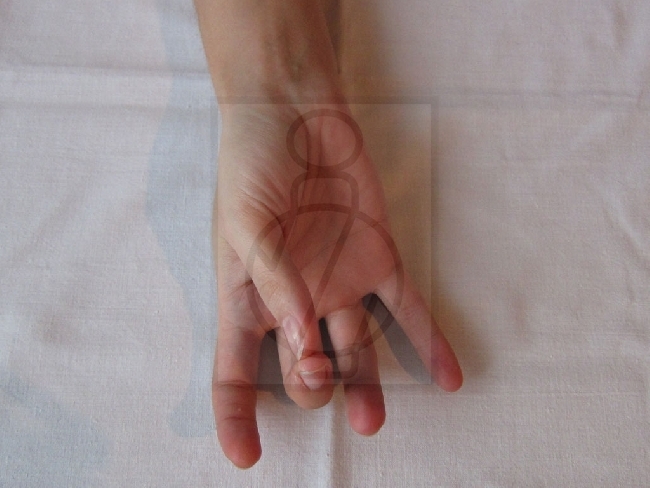 You shall perform the exercise with the hand position on the edge of little finger (hand on a side) - 14 C, and also in the palm down position - 14D. Perform exercises with the ball several times during the day, start with fewer repetitions, increase the number of repetitions with strengthening grip. These exercises are not a substitute for professional medical care or physical therapy. They are designed to complement your treatment for conducting exercises at home and exercises are recommended only after the consultation with your doctor or physiotherapist. Do not shake or throw your child!